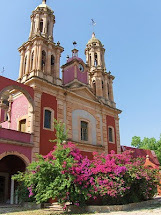 Maryland Pink and Green: Blue & White Chinoiserie Chic + Legally Blonde! 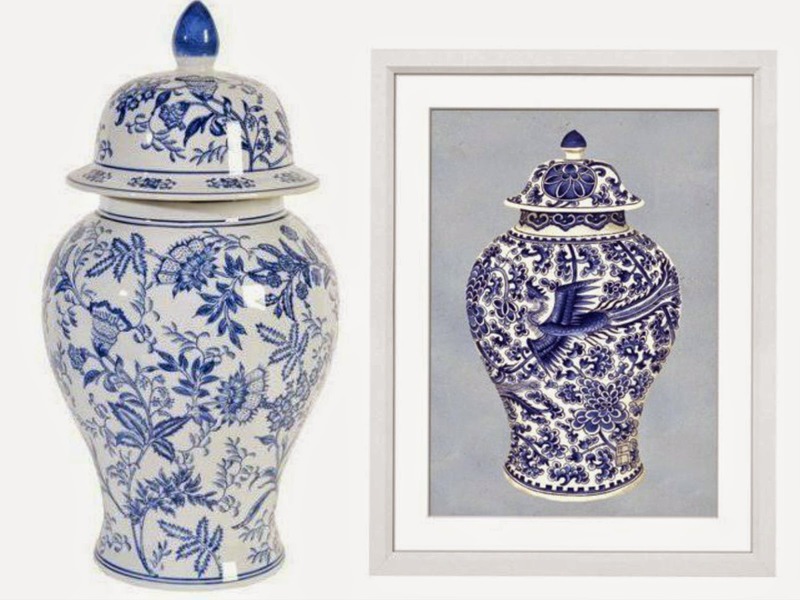 Blue and white chinoiserie is a classic and fits with almost any home décor. If you're looking for something that is both a modern and classic update to any space, then you'll want to add a little bit of chinoiserie. 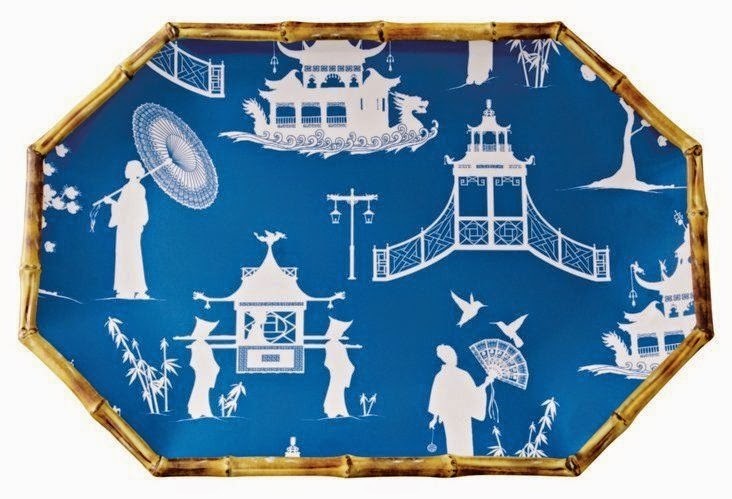 For your next party, choose this Chinoiserie Melamine Serving Tray. I love the classic motif and modern shape with a bit of bamboo. Proudly display pictures in an adorable photo frame for 4 x 6 inch pictures. 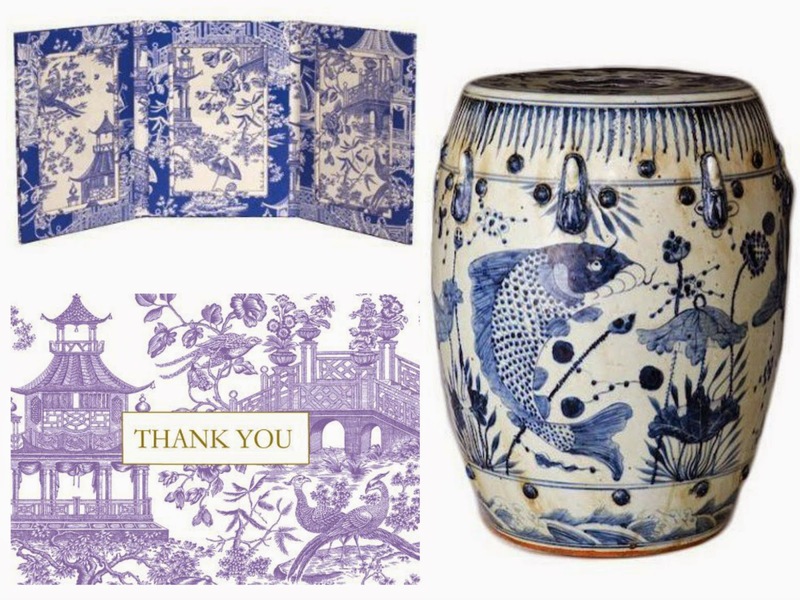 Write notes on beautiful stationery that shows your style and add flair to your garden or home with a blue and white stool. The guest bathroom in my house has a blue and white chinoiserie theme. Here are some images from this space in my home. ﻿In other news, tonight is the debut of the production of Legally Blonde where I will portray Elle Woods' mother! I had SUCH a blast! 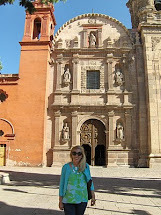 Check out today's post for a picture of me with "Bruiser" the dog. I have many of those prints of ginger jars in my bedroom! So fun that you are in Legally Blonde. Enjoy!